As an adjective, the word cutthroat is defined as “(of a competitive situation or activity) fierce and intense; involving the use of ruthless measures.” Luckily, Cutthroat Lake in the North Cascades is named after the colorful trout found in its waters, not an excruciating hike to get there. In fact, “fierce and intense” are the last words that come to mind. 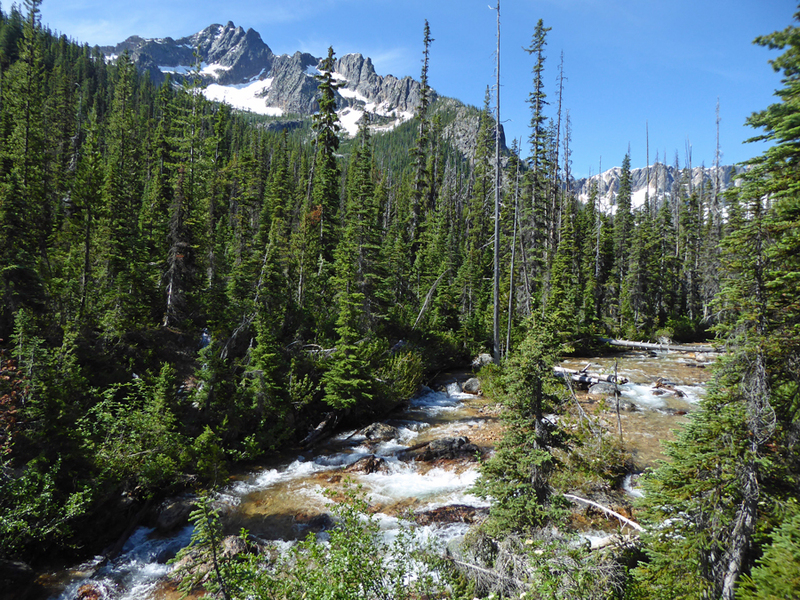 The hike to Cutthroat Lake is pretty darn easy, and it has a beautiful payoff. I want to make this clear from the start: Cutthroat Lake is more of a destination hike than a day hike from Seattle. The trailhead (map) is located 164 miles from downtown, all the way on the east side of the North Cascades. If you’re going to hike Cutthroat Lake, it’s best paired with a trip to Winthrop (27 miles from the trailhead) or anytime you’re driving the North Cascades Highway. Driving to the trailhead is the hard part, hiking to Cutthroat Lake is not. There are some ups and downs along the trail, but the 3.8-mile roundtrip journey is relatively easy. 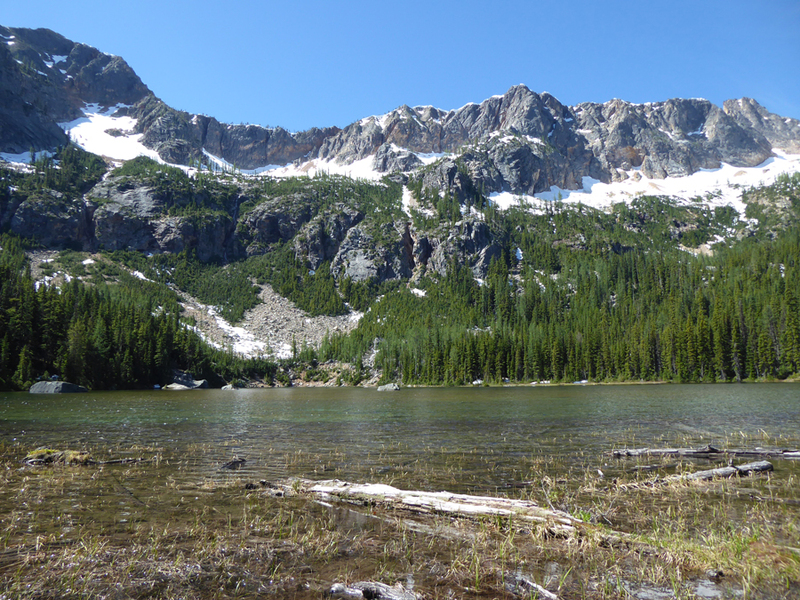 The elevation gain is listed as a mere 400-feet, with Cutthroat Lake sitting at 4,900-feet overall. Beauty isn’t hard to find, either. 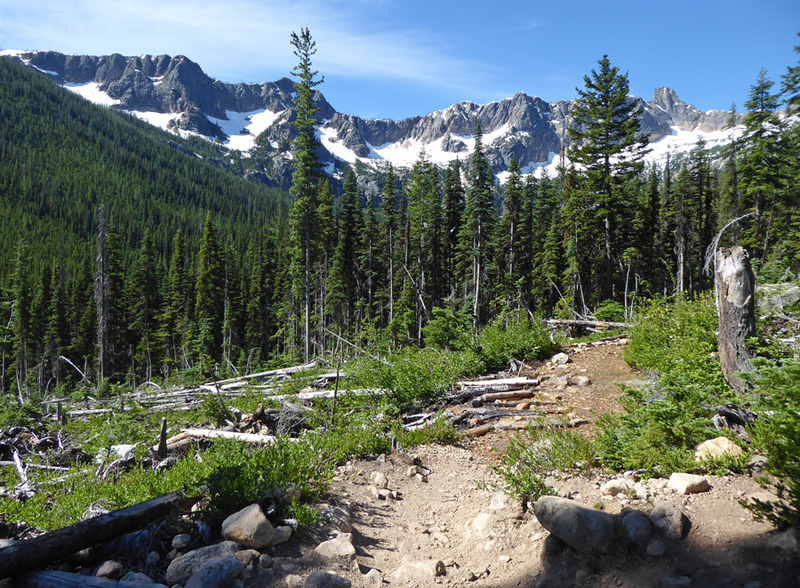 From the very first steps you take on the trail, you’re surrounded by stunning mountains in the North Cascades. Cutthroat Lake itself sits at the base of those peaks. It’s a great spot for a snack, photos, and even fishing (for, you guessed it, cutthroat trout). 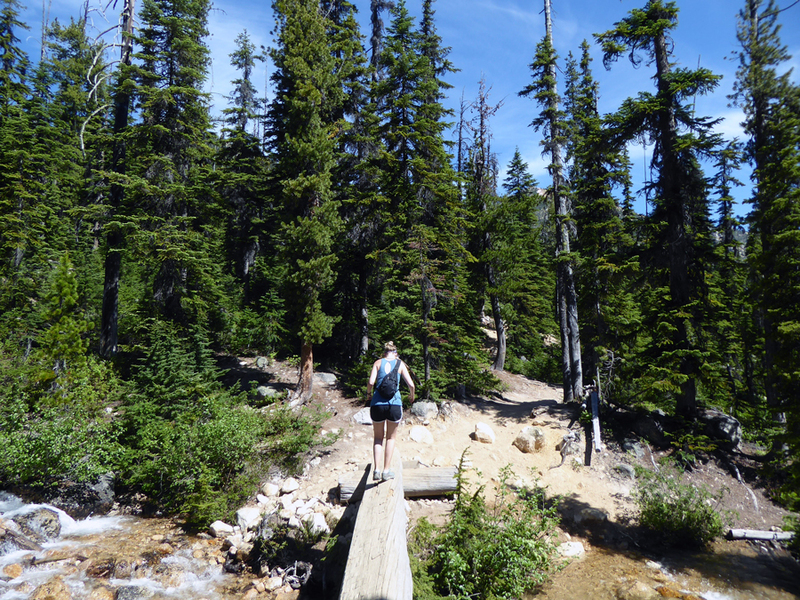 The hike to Cutthroat Lake is seasonal. Since the trailhead and the lake are at such a high elevation, you have to contend with snow. There was still some light slush on the trail when we hiked there in early July. The lake is also popular for checking out golden larches in the fall — much like its North Cascades counterpart Blue Lake. I would suggest checking out the Washington Trails Association trip reports before taking off. If you’re looking for hikes close to Seattle, Cutthroat Lake isn’t one of them. But if you find your way along the North Cascades Highway, it’s definitely worth checking out. There is spectacular scenery from start to finish, and it doesn’t take much effort at all to enjoy it. Have you ever hiked to Cutthroat Lake? How was your experience? We’d love to hear from you! Please leave a comment below or connect with us on Twitter, Facebook, and Instagram. Don’t forget to also check out Seattle Bloggers for more great places to visit around the Emerald City!